Semeru Trekking, Mount Bromo, Ijen Crater Tour Package 6 Days is a combination volcano tour package that consist of the most active volcano in East Java Island, Indonesia. In this tour package, You will have time to see the Sunrise from Semeru volcano summit as the highest volcano, Sunrise from highest peak at Bromo peak and Sunrise tour from Ijen volcano Banyuwangi. If You are interested taking 6 days 5 nights Mount Semeru hiking package, Bromo Sunrise and Ijen Crater tour. You must choose the flight arrival at Surabaya or Malang City in the morning or day time then flight depart at 06.00 - 07.00 PM. Pick you up at your arrival in Surabaya Airport then take you to your homestay around Mount Semeru area for 5 - 6 hours hours driving. Arrive in your homestay at Ranu Pane, Stay 1 night. Wake up in early morning, have breakfast, take shower, relax enoughly then check Out from your homestay. Visit Ranu Pane (Semeru hiking start location) for 2 hours, Arrive at Ranu Pane, submit the medical check to the Semeru post office for climbing submission and Start Mount Semeru climbing package tour to Kombolo Camping location for 4 hours. After you get Ranu Kumbolo, having lunch while taking rest for 1 night in your camp (in Kumbolo, You can take photography for Kumbolo Circumstance). Wake up in early morning, have breakfast, having hot tea or coffee with porter service then enjoy Kumbolo Sunrise and other views. Finish enjoy Kumbolo Lake camping for Sunrise and other views, continue climbing to Kalimati Camp for 3 - 4 hours while enjoy all views along your hiking. Arrive on Kalimati Camp, have lunch and rest 1 night in your Camp. 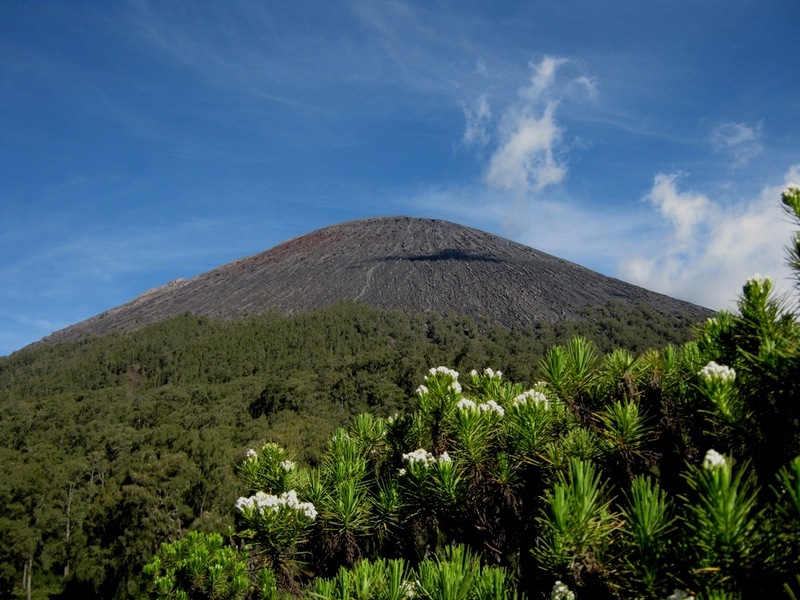 Wake You up at 00.00 - 01.00 AM, Start Mount Semeru Summit trekking to the rim for 3 hours from Kalimati Base Camp. Reach Semeru Volcano Summit, enjoy the sunrise at 05.20 AM while taking photography for other views until finish and satisfied. After you get Ranu Pane village, continue your trip to your hotel around Mt Bromo using Private Jeep 4 WD for 2 hours driving, Get your hotel in Mount Bromo area, stay one night. Wake you up at 02.30 AM for preparing then visit Bromo Pananjakan (the highest peak on Bromo mountain) for 30 minutes using private Jeep 4 WD. Arrive on Pananjakan, do trekking for 15 minutes to view point then waiting Bromo Sunrise at 05.20 AM. Taking photography for Mt Bromo Sunrise and other views until finish at 06.30 AM then comeback to your jeep and continue to Bromo volcano crater by stop at sea of sand then do Mount Bromo trekking for 25 minutes or take the horse riding transportation. After finish enjoy the crater, comeback to the jeep then continue to your hotel to have breakfast, take shower and preparing to check out. Check out from your hotel around Mount Bromo Cemoro Lawang as you want and continue the trip to Ijen Crater for 6 hours tavelling included the stop for lunch at restaurant as your asking. Arrive to your hotel in Ijen Crater area then stay all night. Stop at paltuding, then do Ijen Crater trekking to the top of Mount Ijen for 1,5 hour trekking up. After you get Ijen Crater rim, enjoy the view for green acid lake, sulfur stone that appears from a bottom crater, taking photo for sulfur miners activity when they taking the sulfur from bottom crater then other views until finish and satisfied. After finish enjoy Ijen Crater, comeback to the car / van then return to Surabaya Airport or Hotel (also possible drop of in Malang, Banyuwangi, Yogyakarta or Bali Island) and finish Semeru volcano climb, Mount Bromo, Ijen Tour Package. Before start your vacation to Semeru Summit, Mount Bromo, Ijen Crater trekking, You can prepare mountain clothes such as jacket, Gloves, Trekking Pole and other personal equipment because on these volcano the temperarture is very cold around 03 - 05 degree cntigrade at night. If You dont have one of the mountain clothes, We provide the rental to equip your necessaries. The openning for Semeru Trekking Activity only open between May - December annually because start January - April still in heavy rain and We are worry in this season any landslide occured. For detail information about Mount Semeru Hiking package and Mount Bromo tour package and Ijen volcano 6 Days, You can visit Our contact.